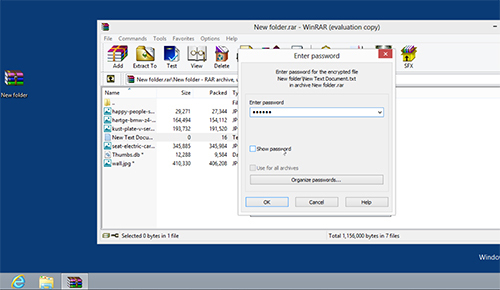 In this video tutorial we will show you how to set password on folder in windows 8. 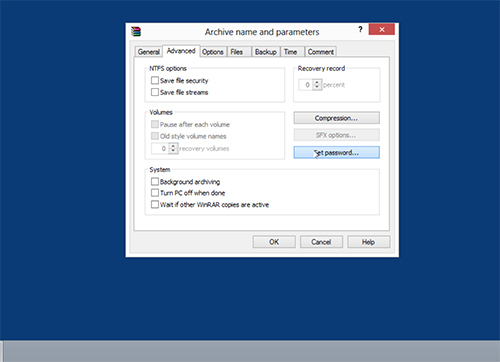 In order how to set a password on folder in windows 8 you must select a folder. 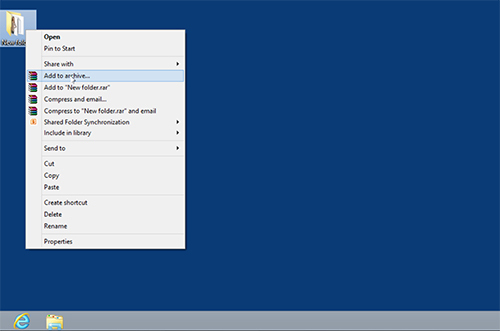 Right-click on the folder and click “Add to archive” option in the displayed menu. In the following window go to the “Advanced” tab and press “Set the password” button. 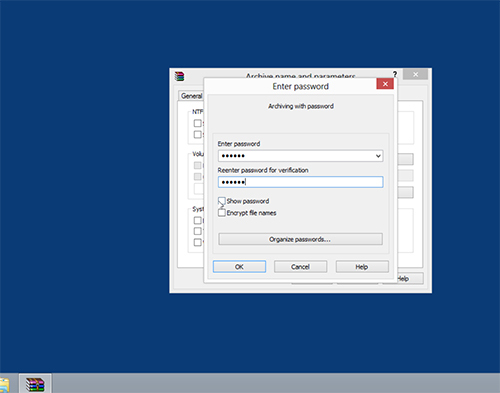 In the new window enter the password in the appropriate field and confirm the password by entering it again. If you want to check if the password was entered correctly, click on the checkbox “Show password” and press “ОК”. Now the created folder is not needed. Delete it. 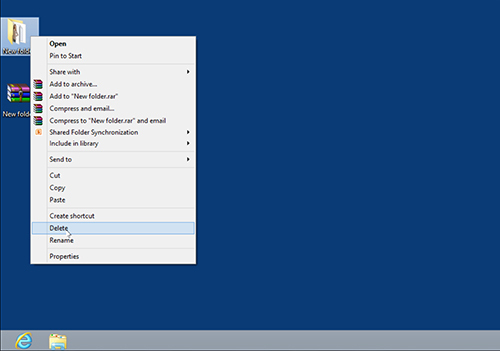 Select the created folder and right-click on it. In the appeared menu choose “Delete”. Open the created archive. In the appeared window open the “New folder”. Click on any file located in the folder. In the following window enter your password. Click on “Show password” checkbox to check the password if needed and press “ОК”. Selected file has been sucessfully opened.